cannot tolerate the side effects of other psoriasis medications. In the last decade, the U.S. FDA has approved several biologics for the treatment of psoriasis and psoriatic arthritis. How Are Biologics Different from Other Psoriasis Medications? Most medications are synthesized from chemicals. Biologics, however, are derived from natural proteins found in living cells. 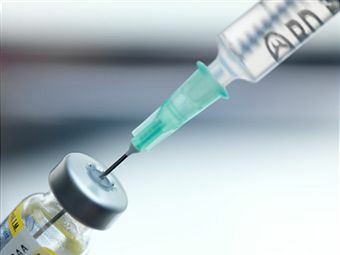 Most biologics used for the treatment of psoriasis must be injected. They cannot be taken by mouth because the protein molecules are too large to be absorbed by the intestine or are too fragile to withstand the stomach acid. Biologics work by targeting the underlying cause of psoriasis – excessive skin cell growth due to an overactive immune system. Although they can often provide long periods of clear skin, biologics are not a cure for psoriasis and ongoing treatment remains necessary. Immune system cells, such as T cells and B cells, monitor the body for bacteria, viruses and other infections. When these immune cells encounter a foreign substance, they release chemical signals that trigger inflammation, such as tumor necrosis factor (TNF) and interleukins. In people with psoriasis, the immune system mistakenly activates T cells that travel to the skin where they cause inflammation. The inflammation results in rapid skin cell growth and the development of psoriatic lesions. Biologics inhibit the immune system, reduce inflammation and inhibit the excessive skin cell growth. Different biologic medications target different portions of the immune system. Some biologic medications reduce an inflammatory signal called tumor necrosis factor (TNF). Others control the activity of an immune signal called interleukin. Etanercept is FDA approved for the treatment of psorias, psoriatic arthritis and rheumatoid arthritis. It works by inhibiting the activity of TNF (tumor necrosis factor), the chemical “messenger” that triggers inflammation. Etanercept is given as asubcutaneousinjection (under the skin) similar to the insulin used by people with diabetes. People can learn to administer subcutaneous injections themselves at home. A typical treatment course with etanercept is two subcutaneous injections per week for three months. A weekly maintenance dose may be recommended. Symptoms often return within a month or longer after stopping the medication. Etanercept may be used alone or in combination with other psoriasis medications, including methothrexate. Blood tests may be performed to monitor the immune system during therapy with etanercept. Each doctor may tailor the use of etanercept according to how well someone responds to treatment and tolerates the medication. Adalimumab has been prescribed for rheumatoid and psoriatic arthritis and was FDA-approved for the treatment of psoriasis in 2008. Like Enbrel®, adalimumab helps clear psoriasis by interrupting the activity of TNF (tumor necrosis factor). Adalimumab is given as a subcutaneous injection (under the skin) similar to the insulin used by people with diabetes. A typical treatment course with adalimumab is one subcutaneous injection every two weeks. These injections are given on an ongoing basis to relieve symptoms and stave off future outbreaks. Adalimumab may be used alone or in combination with methotrexate or phototherapy. Patients should be screened for latent tuberculosis (TB) before taking adalimumab. Blood tests may be performed to monitor the immune system. Each doctor may tailor the use of adalimumab according to how well someone responds to treatment and tolerates the medication. First used as a treatment for psoriatic and rheumatoid arthritis, infliximab is also FDA-approved for the treatment of moderate to severe psoriasis. Like other biologics used for the treatment of psoriasis, infliximab works by blocking the action of TNF. Infliximab is administered via IV (intravenous) infusion in a doctor’s office or infusion center. It is commonly administered three times in six weeks, and then once every eight weeks. Infliximab may be used alone or in combination with methotrexate. Patients should be screened for latent tuberculosis (TB) before taking inflximab and regular blood tests may be performed. Each doctor may tailor the use of infliximab according to how well someone responds to treatment and tolerates the medication. Ustekinumab was FDA approved for the treatment of psoriasis in 2009. It works by blocking interleukin-12 and interleukin-23, immune-system proteins linked to inflammation and the rapid skin cell growth underlying psoriasis. Ustekinumab is usually given by injection twice in the first month, and then every 12 weeks (or approximately 5 injections per year. The relatively low number of injections and long duration between treatments are considered to be some of the benefits of ustekinumab. Although other biologic medications may be self-injected at home, ustekinumab should be administered by a medical professional. Each doctor may tailor the use of Ustekinumab according to how well someone responds to treatment and tolerates the medication. Ixekizumab (Taltz®) works by blocking IL-17A. It is given by subcutaneous injection by a health care provider or self -injection. It is administered every 2 weeks for 3 months and every 4 weeks thereafter. Secukinumab works by blocking Interleukin-17A (IL-17A), leading to a reduction of inflammation. It is administered via subcutaneous self-injection every week for the first 4 weeks, and then every 4 weeks thereafter. There are presently are several biologic medications in development. Talk with your doctor about the possible short-term and long-term side effects associated with biologics. Your doctor can help you weigh the risks and benefits of this treatment option. Biologics can increase the risk of infection. Individuals who develop any sign of an infection such as a fever, cough or flu-like symptoms or have any cuts or open sores should contact their doctor right away. A biologic medication may not be recommended if your immune system is significantly compromised, or you have an active infection. Screening for tuberculosis (TB) or other infectious diseases is required before starting treatment with Enbrel®, Humira®, Remicade®, and Stelara®. Biologics prescribed for the treatment of psoriasis are not always covered by health insurance. It is important to check with your health insurance carrier to see if and how biologics are covered. Some insurance companies offer partial coverage, require prior authorization, or work only with certain pharmacies through mail-order programs. Also, some biologics manufacturers provide information on how to work with insurance companies and offer reduced-cost medication for qualifying patients.